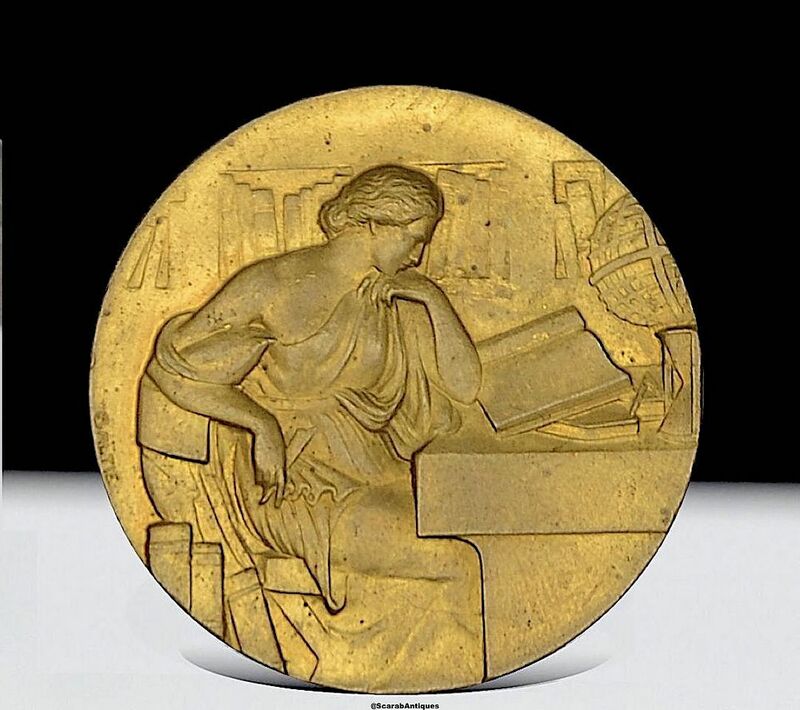 The obverse of this very pretty gilded bronze medal depicts a classically robed woman sitting before a desk reading from an open book with book filled shelves in the background. 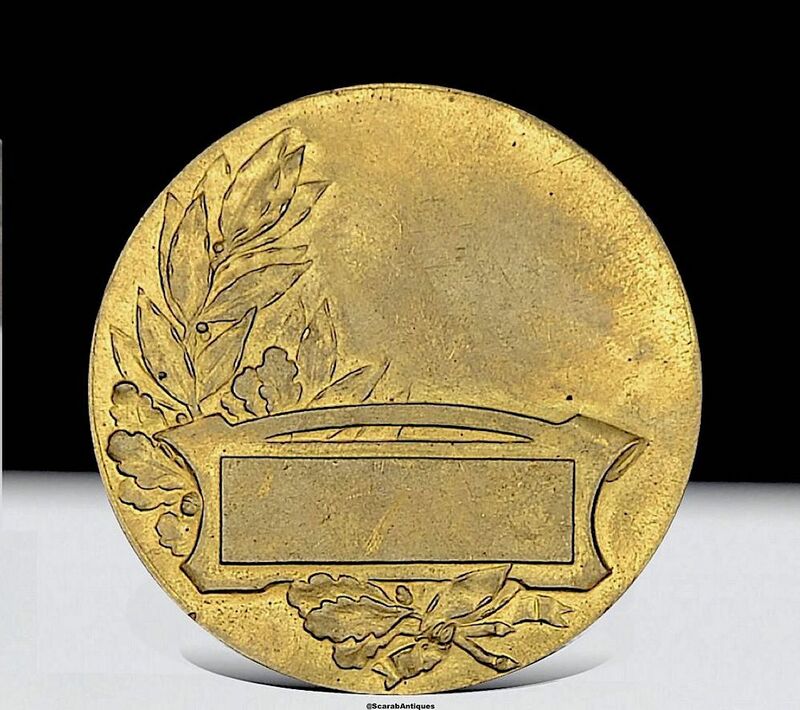 It is signed "Caltie" The reverse has a blank rectangular cartouche with oak & laurel leaves on one side. The rim is stamped "Bronze" and has a triangular foundry cartouche.